We have seen a number of movies go from the Sundance Film Festival to getting picked up by major studios and then being released to the general public. That isn’t the case with the majority of the movies shown at this festival, though. Many amazing films will never be seen in mainstream theaters simply because they didn’t get enough advertising to be shown to a wide variety of audiences. 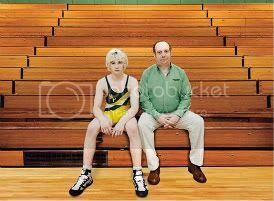 Disheartened small-town attorney Mike Flaherty (Paul Giamatti) is trying to be the best he can as a father, husband, lawyer and the local high school’s wrestling coach. Struggling to get by with a failing law practice, he has trouble being able to afford even the most basic necessities for his business and his family. When a court-ordered case comes his way, he fights to help Leo Poplar (Burt Young), an elderly gentleman in the beginning stages of dementia, from being put into a nursing home. It’s discovered that anyone who takes care of him receives a monthly $1,500 check, so Mike does something less than moral and claims responsibility for the man, and then puts him into the facility anyway. Not telling his wife Jackie (Amy Ryan), his best friend Terry (Bobby Cannavale) or even his business partner Stephen (Jeffrey Tambor) about what he’s done, Mike believes he has everything figured out. A teenager shows up and it turns out that its Leo’s grandson Kyle (Alex Shaffer), a runaway trying to escape his drug-addicted mother Cindy (Melanie Lynskey). With Leo being unable to look after himself, let alone a rebel teenager, Mike and Jackie decide to take Kyle in until they figure out what to do with him. As it turns out, Kyle might be exactly what Mike’s losing wrestling team needed, as he was an all-star regional champ back in his hometown. As things being to look up for Mike, he begins developing a father-son relationship with Kyle, but how long can Mike hide the truth from everyone around him as it threatens to destroy the key relationships in his life? Sometimes, it doesn’t take flashy special effects or huge stars to make a movie great, just a simple heartfelt story that is well acted and directed. “Win Win” has many of those attributes and more. Based in drama but filled with comedy, this humanistic story makes you care for each and every one of these imperfect people. At the center of this story is Paul Giamatti and, as usual, he hold nothing back. Giamatti has proven himself over and over again with great character performances in many films. He has the talent to be a big Hollywood star, but he often decides to take on smaller projects like this where he has to play weaker, more fragile characters and I really find that admirable. Alex Shaffer is making his big screen debut in this film as Kyle and I must say that I’m impressed. Being able to handle all of the emotional drama and comedy as well as the athletic portion of the role could prove itself hard for even the most veteran of actors and he does it while making it seem effortless. There is definitely a future in acting for this young man and I hope that this role opens many doors for future projects. Amy Ryan is solid as the family’s moral center and Jeffrey Tambor is great as usual in the way he offers a lot of laughs with his dry comedic style. The funniest person in the film, though, has to be Bobby Cannavale, quirky and somewhat of a loose cannon because of his recent separation from his wife, he is always good for a laugh or two. A moving and entertaining work of art with a stellar cast of characters, “Win Win” is one of the best films of the year. “Win Win” is rated R for language and has a limited release starting March 18 before opening wide March 25. Excellent review…it IS a great film.